Is ISRO Bhuvan a Google Earth beater ? ISRO Bhuvan seems to be making news, some are hailing it to be Google Earth Beater. We had written about it more than 6 months back and asked if ISRO Bhuvan will be a Google Beater. Indian Space Research Organization (ISRO), today unveiled its beta version of ISRO Bhuvan (Bhuvan means earth in Sanskrit). ISRO Bhuvan promises to give better 3-D satellite imagery of India than is currently being offered by Google Earth plus a host of India-specific features like weather information and even administrative boundaries of all states and districts. 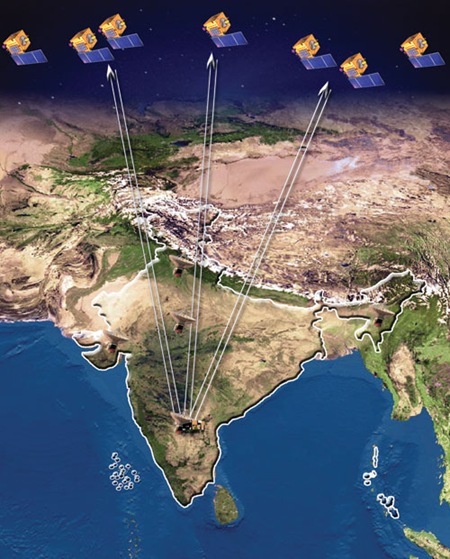 ISRO Bhuvan will offer pictures of the globe, just like Google Earth, and navigable in the same way but will have the best resolutions over the Indian sub-continent. It allows users to fly from space to street level, grab, spin and zoom down to any place. It also provides tools for measuring, drawing, saving, printing and visualizing thematic information. The resolutions currently on offer are good enough to view a vehicle moving on a road quite clearly. Now you may remember that Google Earth had tendered Apology to India for wrongly depicting Arunachal Pradesh in China. It will be interesting to see how well Bhuvan is able to carry out the sensitive tasks of showing boundaries of various states and districts. Whether ISRO Bhuvan will be better than Google is yet to be seen, but we MUST acknowledge the efforts of Indian government who took up this ambitious project and have come to a level where they have launched the beta version as well. Now, I would have loved to download and see the ISRO Bhuvan Application, however, the traffic spike seems to have taken the site down. "Is ISRO Bhuvan a Google Earth beater ? ", 5 out of 5 based on 1 ratings. ISRO All Set to Make History With The Launch of 83 Satellites in One Go! Just checked the 2D Version, the images are too old, may be 5 to 6 years back. Don’t believe on ISRO news as long as that Mr.Nair is continuing as ISRO Chief. He is fooling the politician for getting his undeserving service extension. Note that ISRO could not locate their own Moon Impact Probe using their search. Their claim on MOON landing was a myth. Reserve further comments. We all are FOOLS yar. ISRO BHUVAN IS A BIG FRAUD. the bhuvan plugin Terra explorer works, but works for USA and some european countries maps. No indian map seen by me yet. After you have down loaded the terraexlporer plug-in, go to the bhuvan website and login. That is when the plug-in shows up the country/places. Even if it did, it is not for regular users but targeted at pros. One thing google does best is, it delivers small but delivers fast. Bhuvan promises a lot but delivers it very slow. That is a key differentiator. ya, i too tried out the website in the morning and it was down. would love to try it out. here is the new working URL for Bhuvan. i tried it and it really has better 3D imagery, specially for rural areas….